Oliver Stone’s new biopic about former CIA agent Edward Snowden is required viewing for anyone interested in learning the truth about the man who copied and leaked thousands of classified documents regarding the National Security Agency’s illegal surveillance techniques. 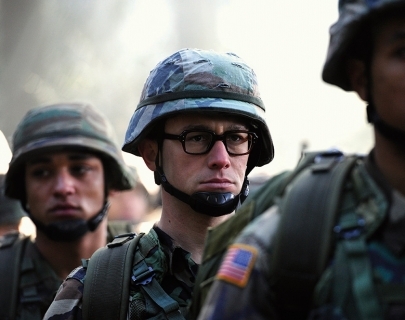 Snowden, who has been living in exile in Russia since 2013 makes a cameo in the film’s closing scenes. Starring Joseph Gordon-Levitt inthe lead role, with Shailene Woodley as his girlfriend and Melissa Leo, Zachary Quinto and Tom Wilkinson as the journalists to whom he told his story.